Manufacturing systems engineer £30000-£40000 (maybe more) + Pension, Bupa, 33 holidays a year. Slough The opportunity Work alongside a highly skilled and versatile manufacturing information systems manager who is looking to train and mentor an engineer to eventually succeed him in his role. Your first project will be to help implement a brand new ERP system for the company. If you have worked within manufacturing, have good technical acumen and experience with an ERP system please apply. £30000-£40000 (maybe more) + Pension, Bupa, and 33 holidays a year. This is a unique and rare opportunity to work alongside a highly skilled and versatile manufacturing information systems manager who is looking to train and mentor an engineer to eventually succeed him in his role. Your first project will be to join a small think tank who will be implementing a brand new ERP system for the company. If you have worked in a manufacturing previously and have good technical acumen and experience within an ERP system please apply and we will be in touch. You will join a small team to help with the implementation of a new ERP system. The project is likely to last between 12 to 18 months. This ERP project will include evaluating options for the ERP, data migration, cleaning data, choosing and installing new servers, customisation, change management and testing/going live. You will be given the opportunity to attend unique supplier training courses on EFACS E8. You will then help to train and teach other members of the company how to use the new tools. After the implementation has been completed you role will focus on the management and maintenance of the system. Reporting into the Information systems manager you will learn and further develop with the idea of succeeding him in his role after he retires in the next couple of years. We are open to the background of candidates as its unlikely we will find a manufacturing systems engineer who has implemented and then managed a EFACS E8 ERP system. If you have helped with the implementation of a new ERP/MRP system into a manufacturing environment whether it be Navision, SAP, Microsoft Dynamics, Oracle or any other ERP system that would be a definite plus. If you haven't implemented a an ERP system but have good working knowledge of using one and also have a programming language like SQL we would be keen t have a chat. Anyone with skills with BIRT or Microsoft BI would also be of interest. Above all though must want a long term position, get along well with people and be happy to get stuck in. In this company manager is often the first to put the kettle on. The company are cash rich and has been in existence for more than thirty years. They have two sites and ambitious growth plans for the future. The Slough based team have recently moved to a new improved facility so they can offer a more advanced solutions to their large customer base. The company is privately owned and has a very low turnover of people, which reflects very well in the current market. Starting salary will be thirty to forty thousand pounds per annum (maybe more if you have the exact experience we are looking for). You will also receive a pension and BUPA and thirty three holidays (inclusive of bank). The company shuts over Christmas and so you will need to save a couple of holidays a year to cover this. The working week is Monday to Friday 8.30am-17.00pm although a little flexibility on start and finish time may be available if needed. If you are interested to find out more please apply and we will be in touch. 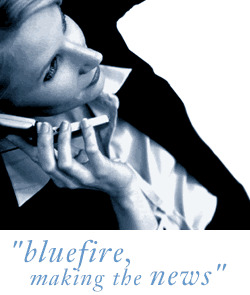 Bluefire Consulting is an equal opportunities Employment Business/Agency specialising in FMCG recruitment on a UK wide basis.